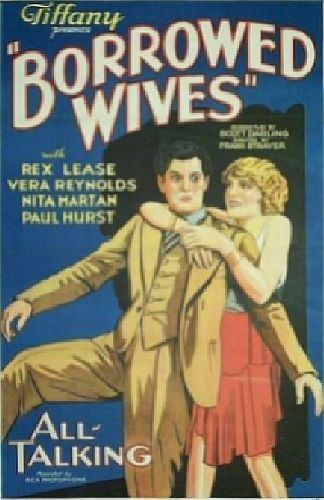 Intending to get value for money out of their house leading man Rex Lease, Tiffany Studios cast the personable actor in everything from westerns to sports dramas to domestic comedies like Borrowed Wives. Lease plays Peter Foley, who stands to inherit a fortune from his late uncle. The problem: To increase his allowance from his wealthy relative, Peter pretended to have a wife. Naturally, the will stipulates that Peter still be married, lest he lose his $800,000 legacy. The rest of the plotline is implicit in the film's title, with everyone concerned running around at top speed to convince the audience that something funny is going on.